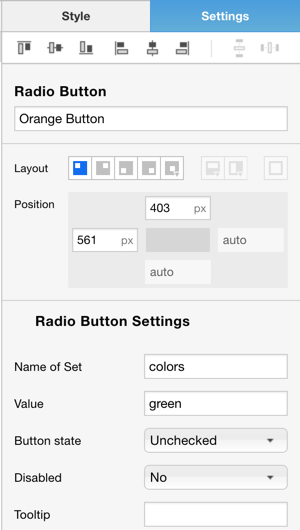 Create a new object and a specific number of radio buttons that correspond with how many views you will switch between. 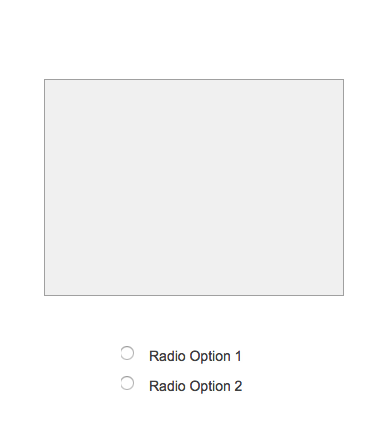 Example: Rectangle with two radio buttons. 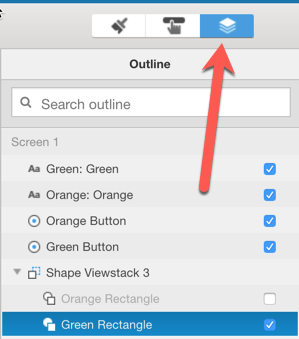 3) Modify each view within your viewstack to your liking. 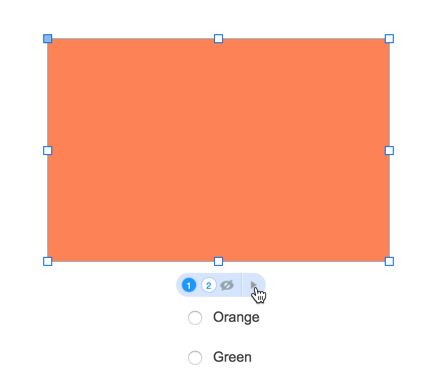 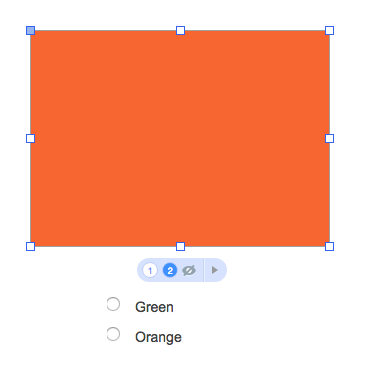 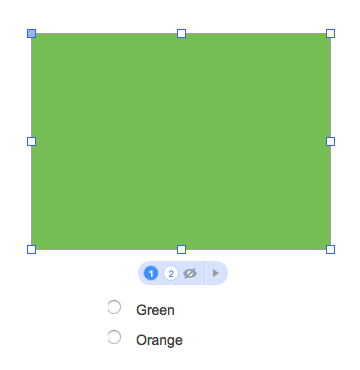 Example: view 1 sets the rectangle fill color to green, view 2 sets the rectangle fill color to orange.